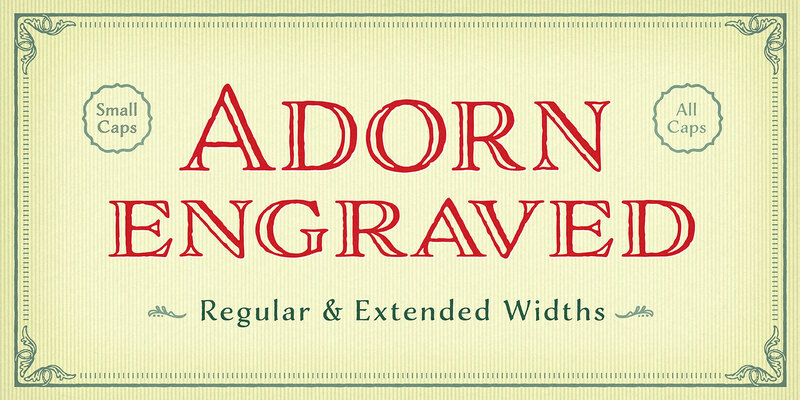 Adorn Engraved is strongly reminiscent of formal invitations popular in the past. Still, the sweet tail of the Q and the irregular qualities of the lines bring it into the twenty-first century and accentuates the decorative look of the engraved font; the incisions within the stems and serifs allow the designer to use color to enliven them. A font family published by Laura on Tuesday, July 26th, 2016 that has 1,737 views so far.